With Readly you can read FourFourTwo Annual and thousands of other magazines on your tablet and smartphone. Get access to all with just one subscription. New releases and back issues – all included. 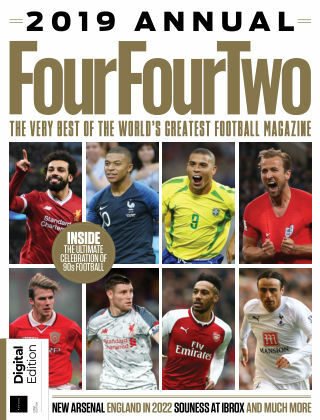 "Welcome to the FourFourTwo Annual, packed full of the best features, interviews and exclusives from the world’s greatest football magazine’s past 12 months. Includes a World Cup 2018 review, a Kylian Mbappe interview, a look at the new regime at Arsenal, 90 things we loved about the '90s and a whole lot more!"